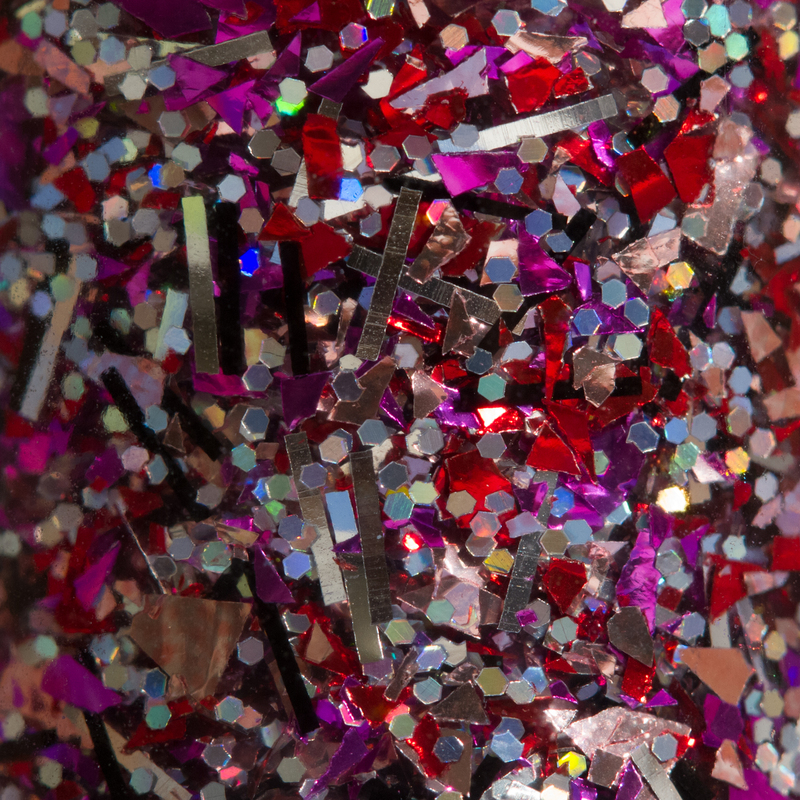 GlitterDaze's Bad Girl Collection is a shard glitter lover's dream. 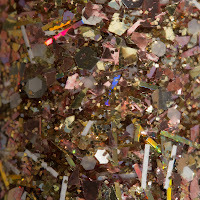 It consists of 7 glitter toppers, all of which have at least one irregularly shaped element in them. They are all quite varied and would look great layered over a number of different bases. Let's take a look at some swatches! Each photo shows one coat applied with the dabbing method. 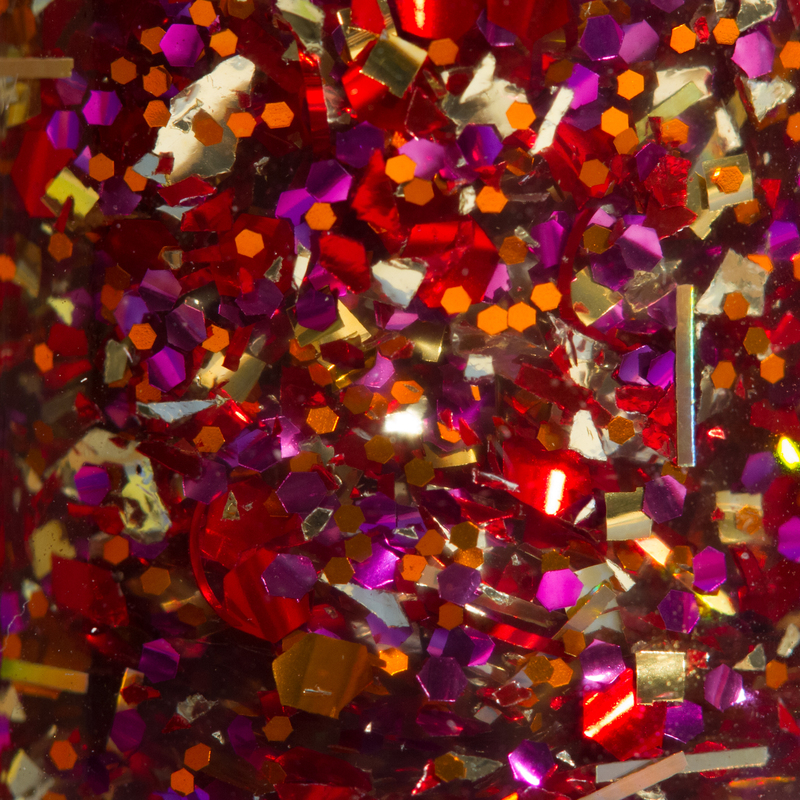 For best results, wait until your base is completely dry before adding the glitter. B.A.M.F. 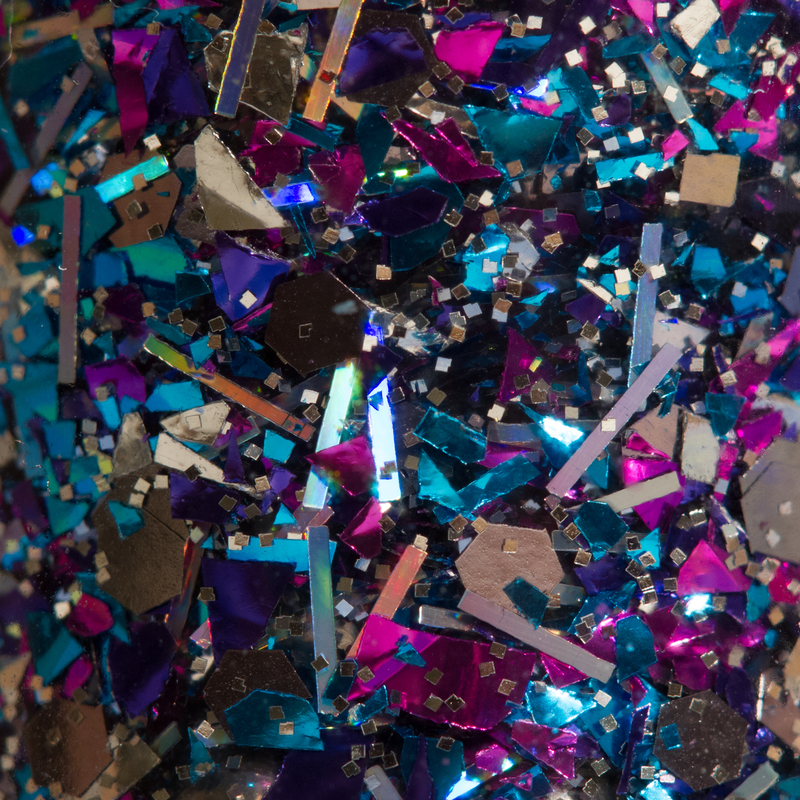 is made up of blue, pink, and silver. 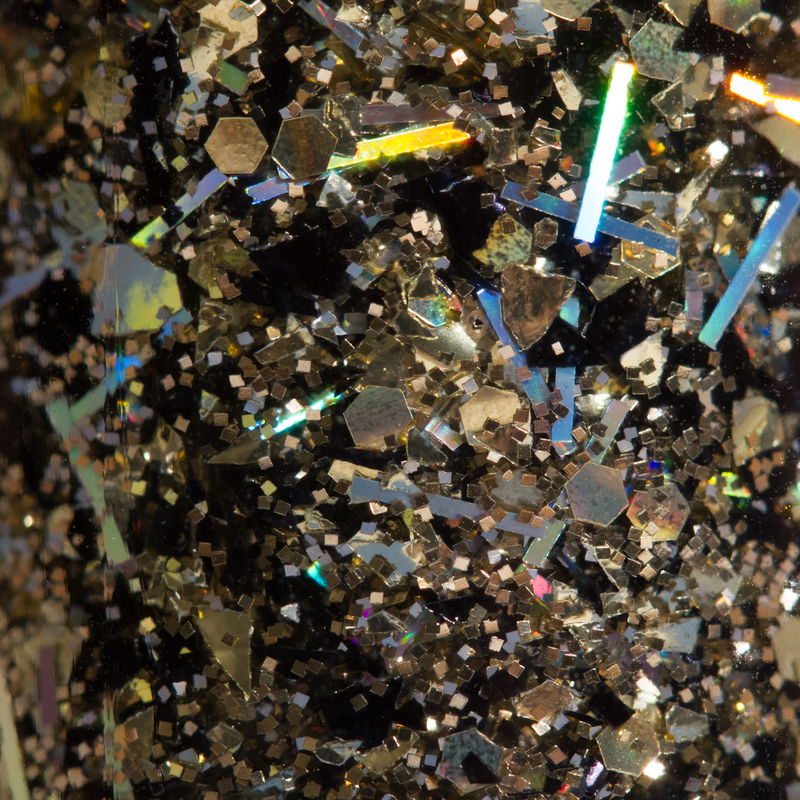 There are large holographic bar glitters in it that are quite eye catching. 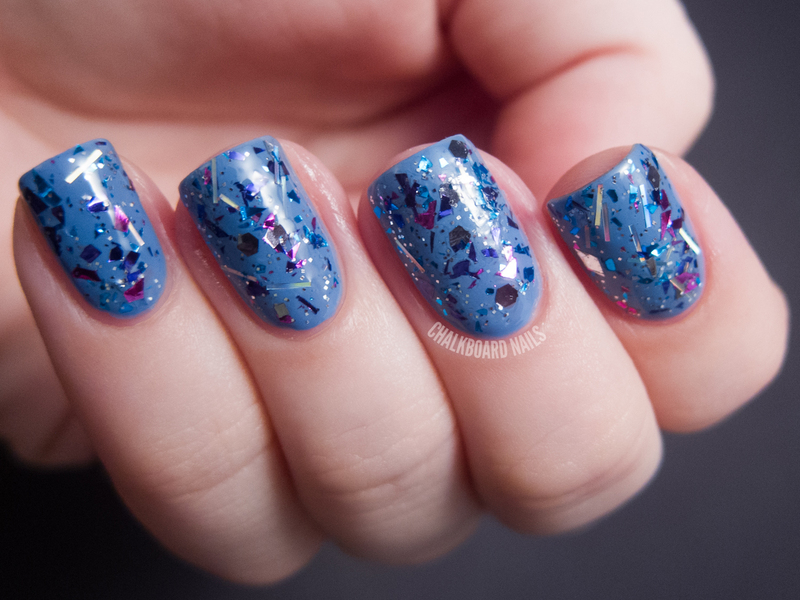 This is one coat paired with China Glaze Secret Periwinkle. 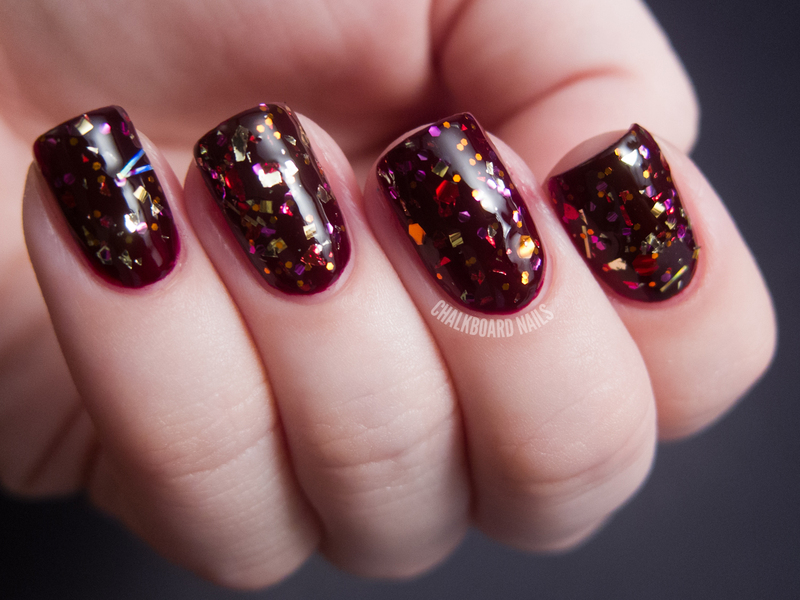 Girl Gone Wild is composed of black, gold, and fuchsia, and looks great layered over a shade like Essie Play Date. This one also has holographic bar glitters. 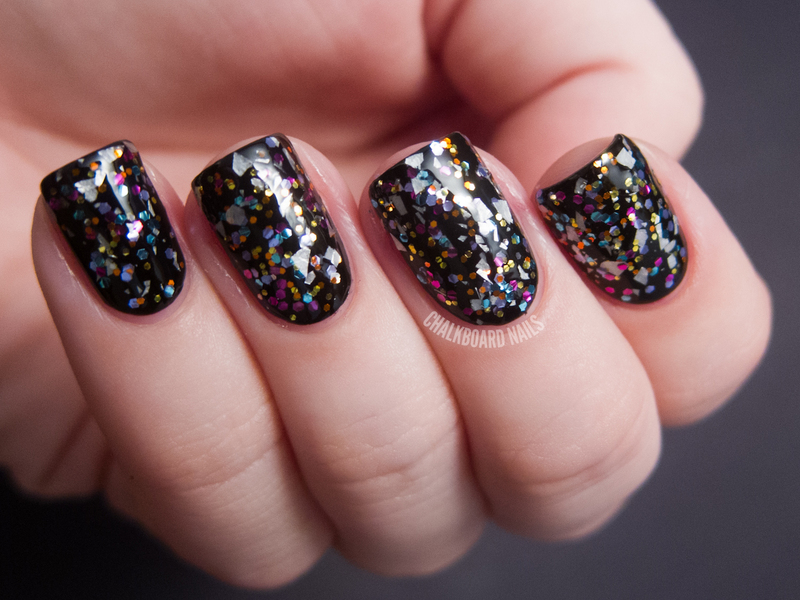 I really love the look of this particular shade, probably because of the fact that it has black shards in it. Hot Shot is a fiery mix of reds, golds, and oranges. 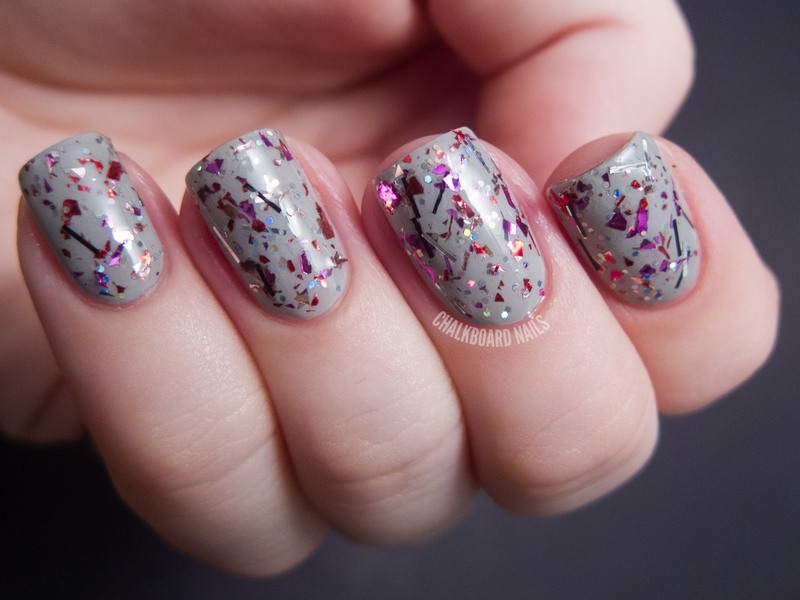 For this swatch I have layered it over China Glaze Prey Tell. Prima Donna is my favorite of the bunch. 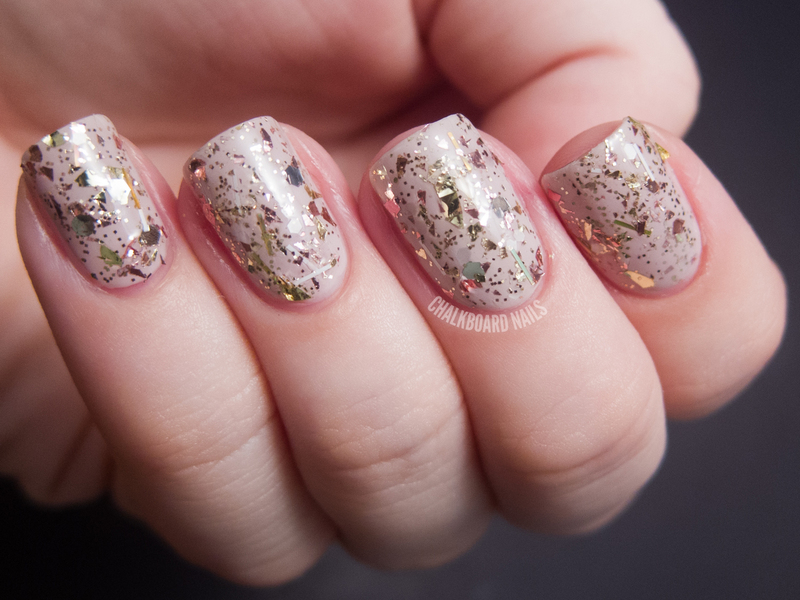 Here I've shown it layered over OPI Steady As She Rose, which gives this pink and gold shard topcoat an almost antiqued look. It's delicate and feminine while still being bold and assertive. Sounds contradictory, but that's the way it is! Queen B. is an eye-catching mix of gold and black. Again, I really enjoy the black pieces in this one! I've layered it over China Glaze Wicked Style. 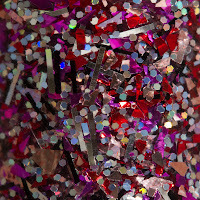 Showstoppin' is a mix of fuchsia, red, and silver. 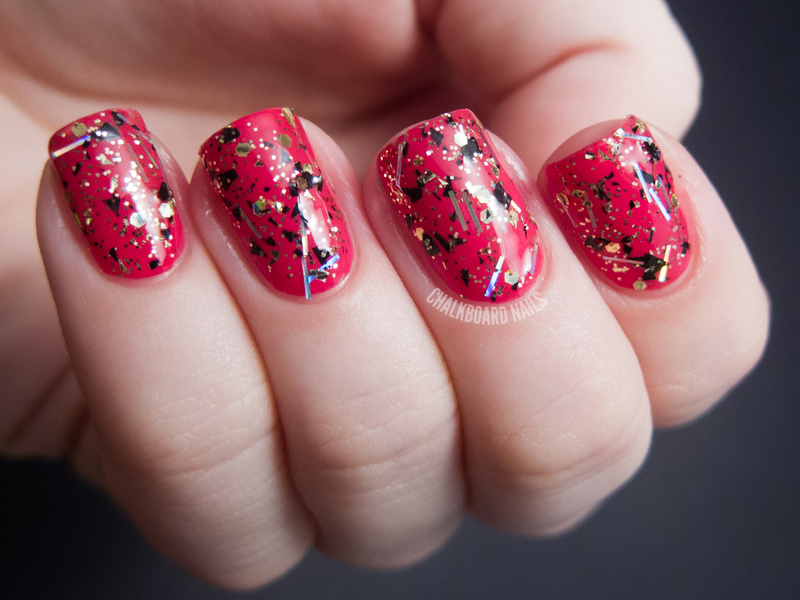 Blingy and girly, it's sure to catch some attention. 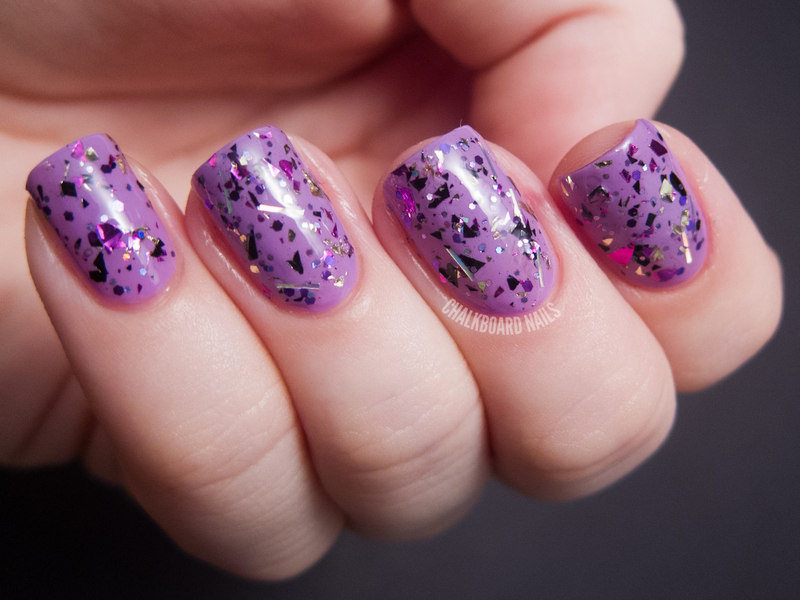 I've shown it here over Zoya Dove. 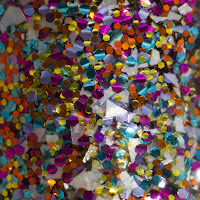 Socialite is a rainbow topper with white shreds. Perfect for those times when you can't choose a color... just choose them all! Shown over black. 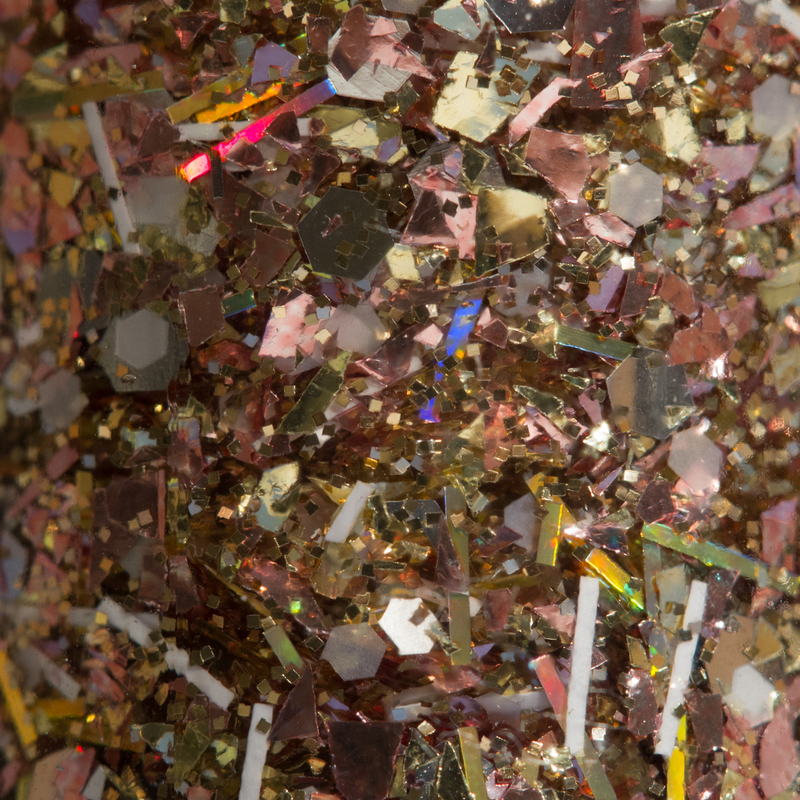 Some glitter macro shots for your drooling pleasure (in the same order as the swatches). 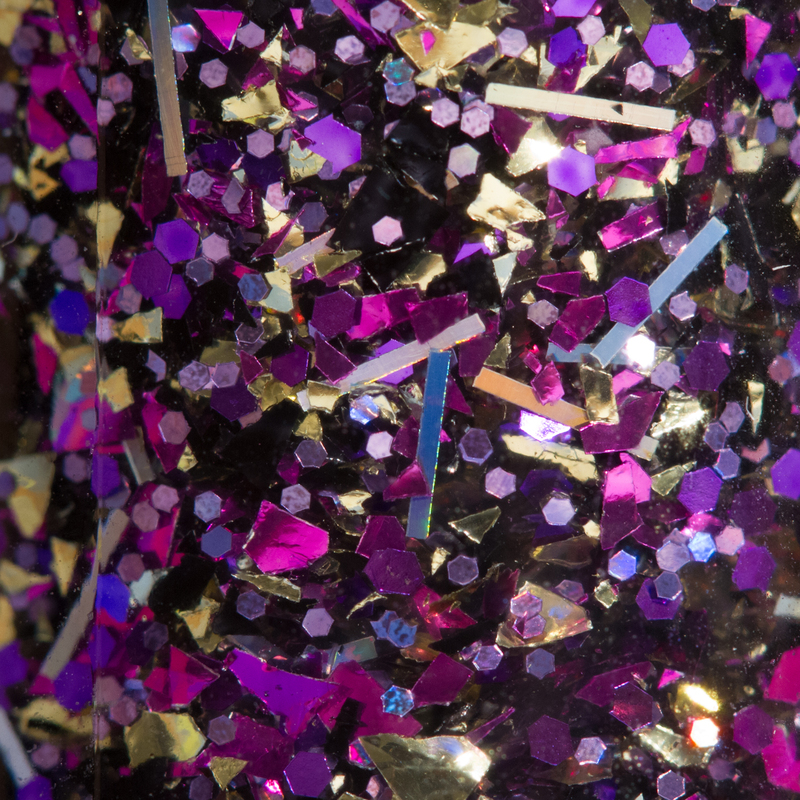 GlitterDaze has recently undergone a rebranding and revamping! 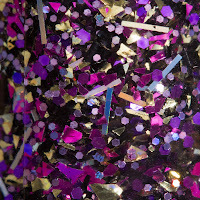 You can find the new website at www.GlitterDazeNP.com. 7mL bottles retail for $6 while 14mL bottles retail for $11. 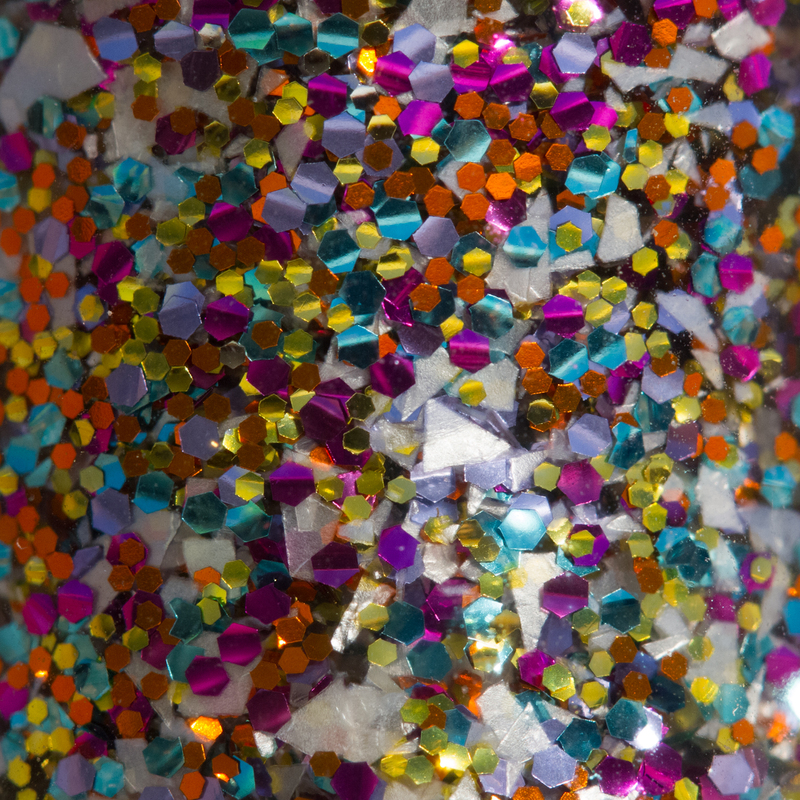 When you register at the new website, you earn reward points for every polish you purchase! These reward points can eventually be redeemed for discounts or polish. Neat! GlitterDaze will also be holding a giveaway for part one of the Diva Collection on their Facebook once it reaches 650 followers, so make sure to check it out if you are interested in that. I have B.A.M.F. and I love it! I really want and need all of the others, they're so gorgeous! It's hard to choose a favorite. I really like the Prima Donna layering combination! 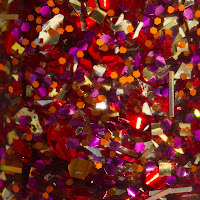 I love shard glitter--and your photo of Hot Shot is singing to me. Hot Shot and Prima Donna are my fav's!